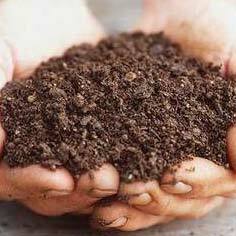 We are one of the reputed names as Exporter and Supplier of Bio Fertilizer in Maharashtra, India. We are supported by a team of dexterous personnel who so not sacrifice quality at any point of time. Perfect in formulation, our Bio Fertilizer is safe to use. Order retail or bulk, timely deliveries are assured! Symbion – N & Symbion – P (Bio fertilizers), Bio fertilizers are Microbial products containing living cells of different types of microorganisms possess the innate ability either to fix the atmospheric nitrogen or solubilize/mobilize phosphatic nutrient elements from non-usable to usable forms through biological process. Needed to be applied to soil to enhance microbial activity in the rhizosphere. Playing a significant role in integrated plant nutrient systems (IPNS). Symbion – K Potash Mobilizing Bacteria (PMB),The microbe, Frateuria aurentia belonging to the family Psudomonaceae, is a beneficial bacteria capable of mobilizing Potash to plants in all types of soil especially, low K content soil. Use of such bacteria in Liquid form can increase the availability of more potash in usable form to the plants.Symbion-K is a liquid formulation containing the selective strain of Frateuria aurentia. These bacteria in their dormant forms are suspended in liquid formulation.